As Game of Thrones marches into its eighth and final season, HBO is busy making plans for its post-Westeros future. Now that the cable network has become part of WarnerMedia, it’s releasing more content than ever, but we’ll still have to wait for some fan favorites to come back. 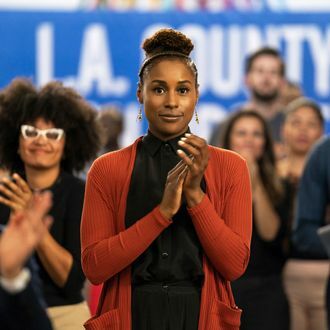 In an interview with Vulture’s Josef Adalian, HBO programming chief Casey Bloys confirmed that Insecure won’t be back for its fourth season until 2020, mostly because its star and creator Issa Rae has gotten hella busy. According to HBO’s upcoming schedule, Larry David’s Curb Your Enthusiasm won’t be back until 2020 as well. Those comedian-writers, they take their time!